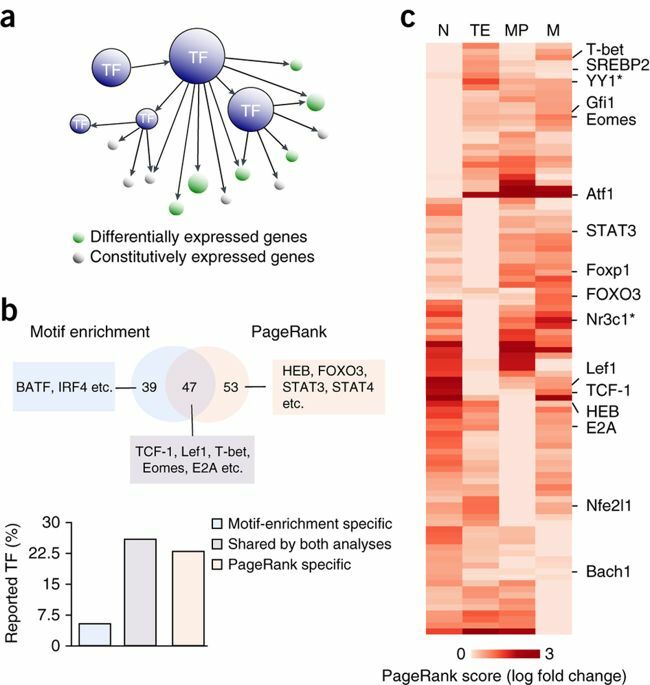 Taiji: System-level identification of key transcription factors reveals transcriptional waves in mouse embryonic development. 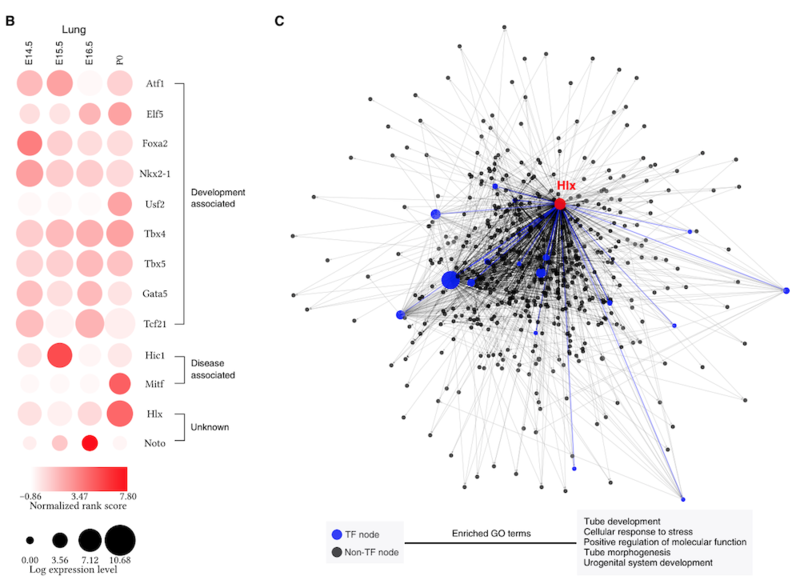 Epigenetic landscapes reveal transcription factors that regulate CD8+ T cell differentiation. Runx3 programs CD8+ T cell residency in non-lymphoid tissues and tumours. The Taiji pipeline is an integrative multi-omics analysis pipeline. It analyze and use ATAC-seq/DNase-seq, RNA-seq, HiC data to construct TF regulatory networks and identify important regulators using the personalized PageRank algorithm. 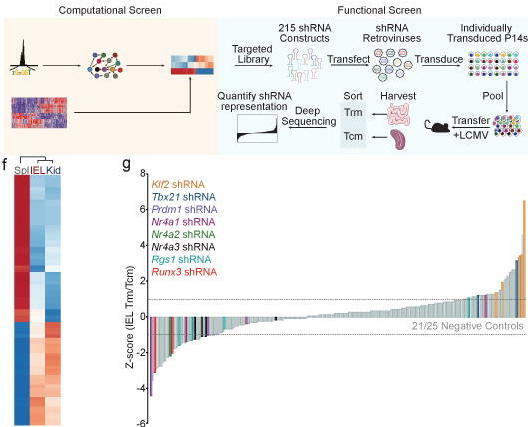 K. Zhang, M. Wang, Y. Zhao, W. Wang, Taiji: System-level identification of key transcription factors reveals transcriptional waves in mouse embryonic development. Sci. Adv. 5, eaav3262 (2019).